This week three readers from Room 2 have been working with three readers from Room 1 preparing a play to perform to the class. They practised the play by themselves and organised the props. They read with fluency and expression and followed the script so they knew when to come in. Well Done. 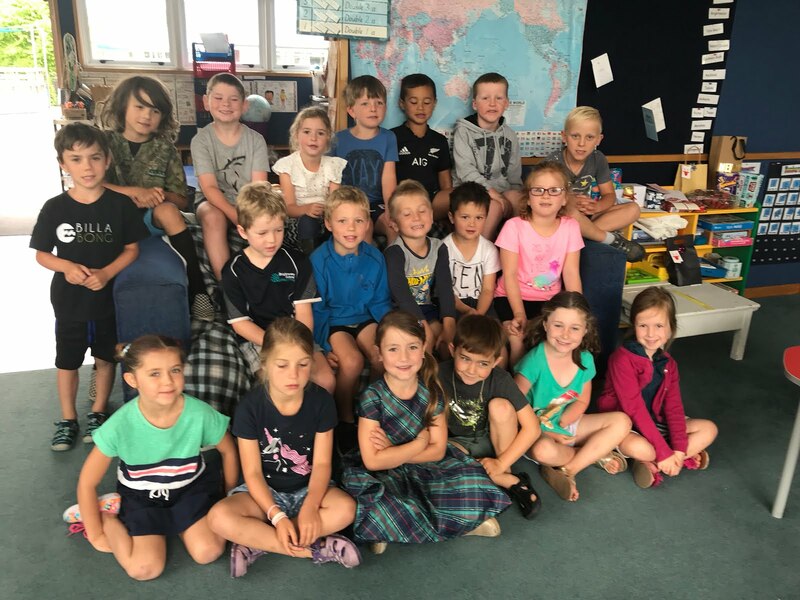 On Wednesday Room 2 went to Wakefield school with the rest of the Junior Syndicate for Kiwi Sports. Hope, Ranzau and Appleby Schools were also there. We parked our cars in Faulkners Bush and then we all walked into the back of Wakefield School with our morning tea in a plastic bag with our name on it. We were all put into groups. There were 18 groups. Each group got to do 6 different activities. Some of the activities were hockey, rugby, parachute, soccer, earthball, hurdles, obstacle course, jump jam, skipping and crazy catches. When we had completed six activities we walked back to Faulkners Bush for lunch. After lunch Room 2 got to go on the flying fox first and then we played on the playground before we walked up to the lookout. From the lookout we could see all the way to Nelson. It was fun running down the hill. We climbed over a stile and walked around the boardwalk back to the cars. Some of us had to fill our drink bottles up at the tap. We were very tired and very hot and thirsty. It was time to go home. Thank you to all Room 2 families who contributed to our class raffle for the Gala. It looks really yummy. Tickets are $1.00. See you on Sunday at the Gala. It starts at 11am. Room 1 and 2 children who had brought their togs to school had a fun swim today. Some boys brought water pistols. We had running races in the pool. At Discovery Time we are learning to work and play together and to pack up at the end of the session. We have written robot stories describing the sort of robot we would love to be and recorded them on Garage Band with some special effects. We had lots of fun. We hope you enjoy listening to them.Can you guess who they are? Our March Assembly from Sherryn LInes on Vimeo. We have been writing about our favourite toys then drawing an illustration.